The IT landscape is being changed dramatically by new cloud based services. But along with the significant advantages of cloud computing come a series of new risks. The relative infancy of platforms used to support a completely new infrastructure raises questions about just how secure cloud deployments truly are. How do you defend multi-tenant architectures housing data from multiple organizations from attackers?. How do you report on data and applications in an outsourced environment? 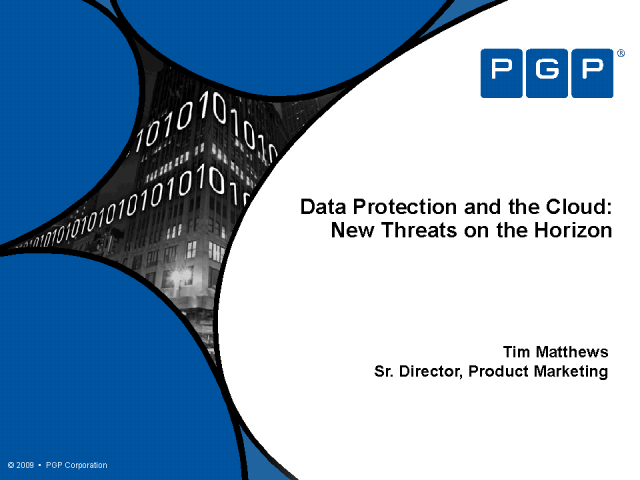 Attendees will be given a grounding in data protection techniques, breach laws and the organizational costs of data loss. Analysis of recent attacks and the latest information on data protection best practices will be used to illustrate.